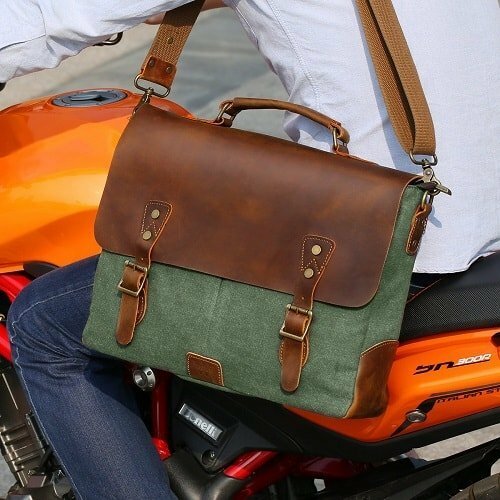 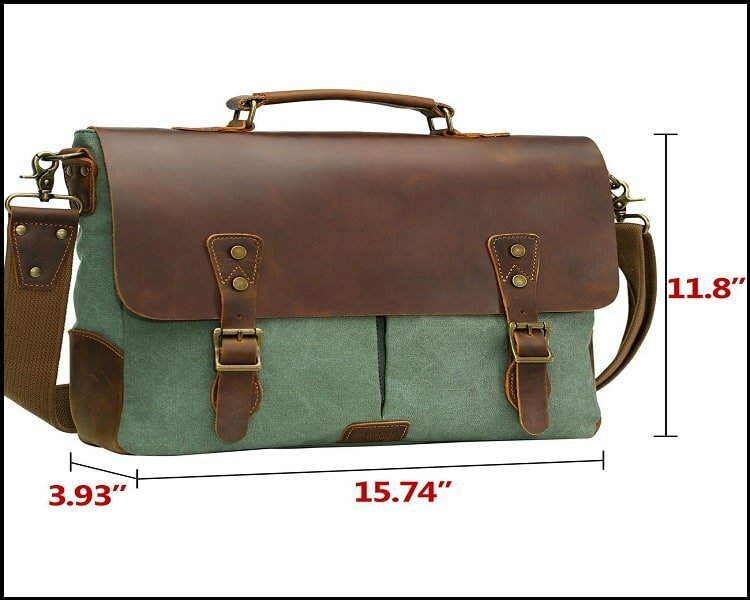 Leather and Canvas Messenger Bags is made of top-notch genuine buffalo leather and durable washed canvas fabric, with seamless stitching to make this satchel build long-lasting durability, and is equipped with sturdy and rustproof hardware accessories. 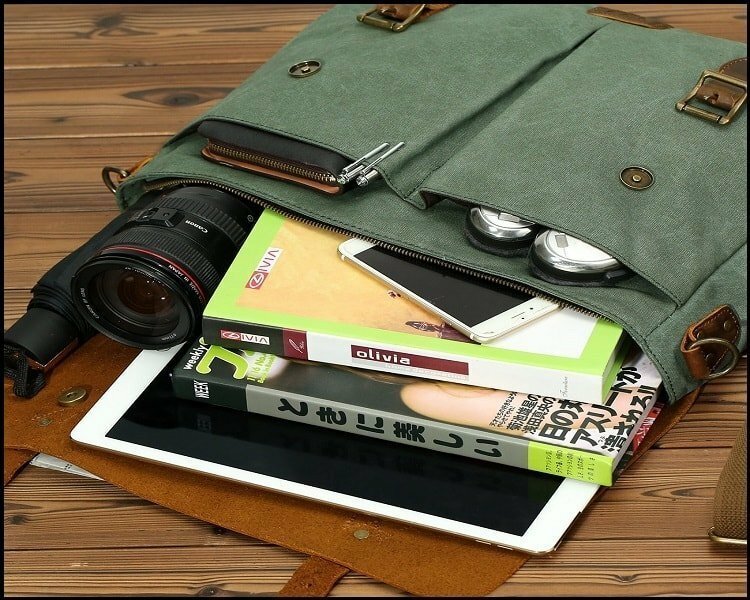 Two large front pockets are for easy & quick access to frequent use of the stuffs. 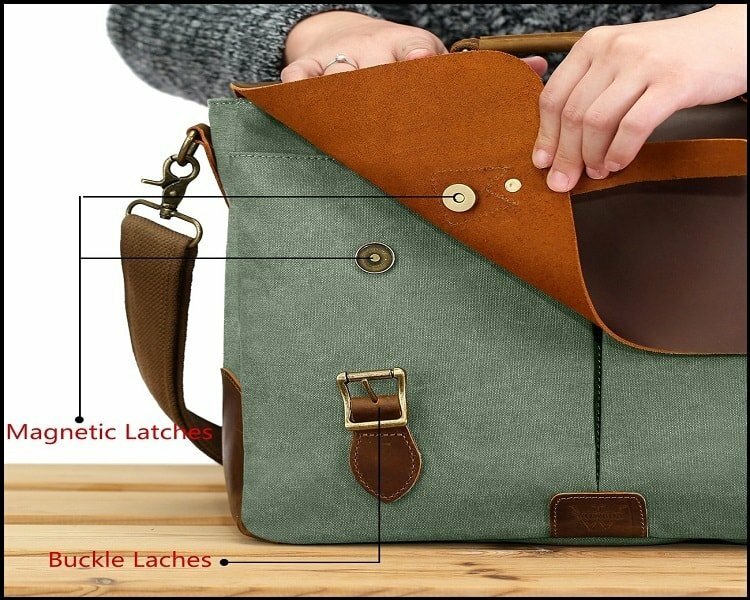 One zipper pocket for important objects like wallets, confidential documents or binders etc.